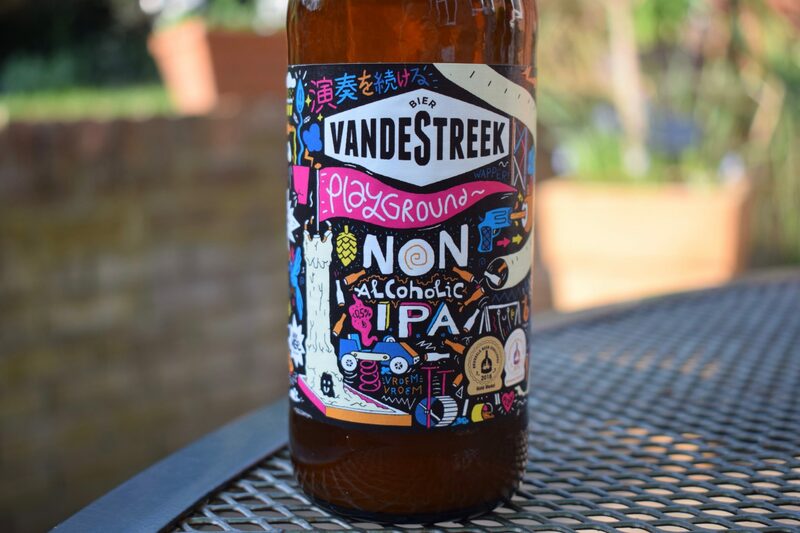 Vandestreek “Playground IPA” is an intense flavourful low-alcohol (0.5%) India pale ale. Get tasting notes, find out where to buy it and see nutritional info (calories, carbs and sugar) in this review. One of the great things about brewing beer is that it’s so accessible. Anyone can pick up a brewing cheap brewing kit from the store and brew a generic beer in their kitchens. Even purists can mimic a commercial brewery on a small scale with a few pieces of specialist equipment and access to the right ingredients. 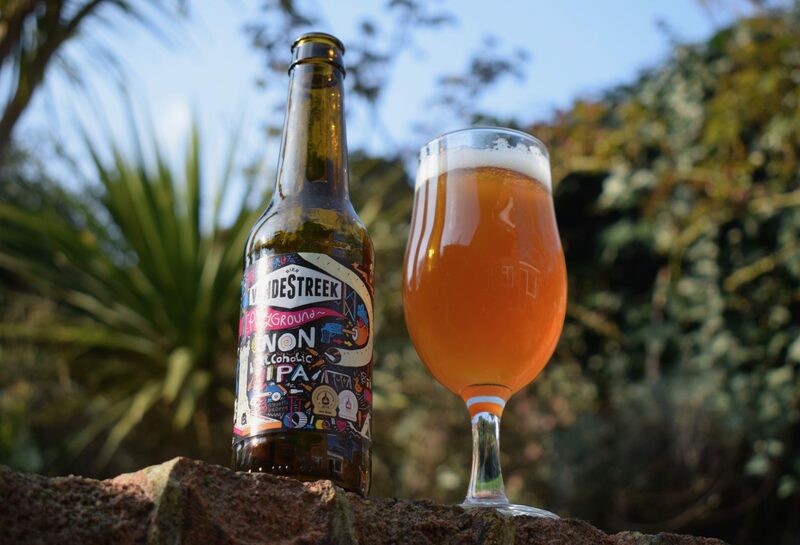 Some even turn their passion for brewing into a job by selling their beery creations. This is how brothers Sander and Ronald van de Streek got started with the brewery they named after themselves, Vandestreek. 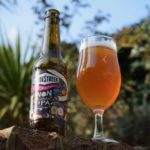 They began brewing in 2010 from their flat in Utrecht, Netherlands and turned their hobby into a proper operation in 2013 with the help of a crowdfunding campaign. 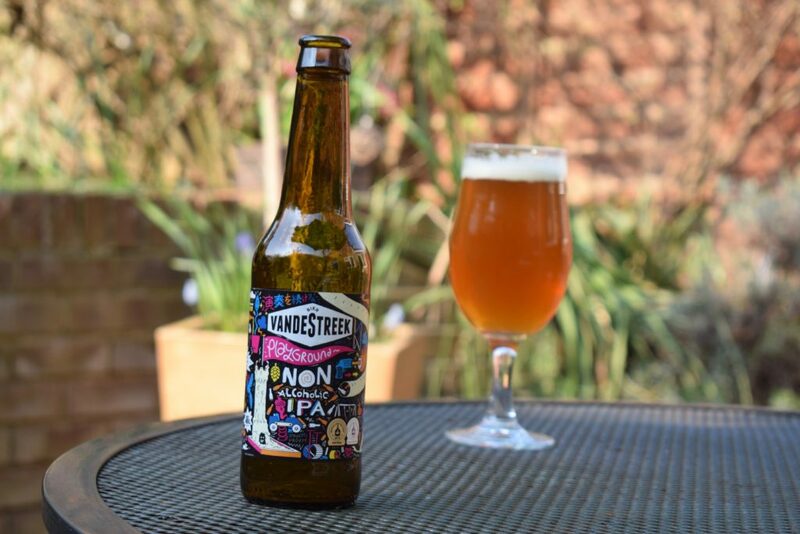 Now they have seven core beers in their range, including their alcohol-free (0.4% ABV) “Playground IPA”, so called because it started off as one of the brewery’s experimental “Playground” series – a throwback to the brothers’ test brews in their Utrecht flat. Here, they’ve achieved a low ABV with yeast, grains and techniques that produce less alcohol during fermentation, rather than removing the alcohol (and risk killing the flavours) afterwards. Hops-wise, there are five types including the American Mosaic, Citra and Cascade varieties for their aroma and flavour. Playground IPA pours a deep, rusty orange. It’s cloudy, clearly unfiltered, with a velvety head that leaves a good slither of foam down the glass as you sip. The aroma is varied and a delight with spices and fruit. First up, the smell of pine, grass, coriander seed and oregano hits your nostrils. Then there’s a hit of mango and lychee. It’s a nice change from fruit-forward aromas popular in many of the alcohol-free beers that use new-world hops. The carbonation is smooth, almost fluffy in the mouth. The body is medium to heavy, and impressive for a no alcohol brew. The fact it’s unfiltered helps of course. The flavour is fruity but not overly sweet with the mango and lychee dominating a light maltiness. The bitterness hits in the finish, which is dry and a perfect accomplice to the tropical flavours at the top of the sip. A common complaint among smaller breweries is that producing a great low or no alcohol beer requires expensive equipment or a big research budget. With Playground IPA and similar “ü.NN” IPA from the Kehrwieder, brewers have proved that’s not necessarily the case. Both have produced a 0.5% beer with a distinctive aroma, great body and varied flavour. Playground IPA might not float your boat if you’re after an old-school English IPA. But it’s sure to be a go-to if you like your modern India Pale Ales.